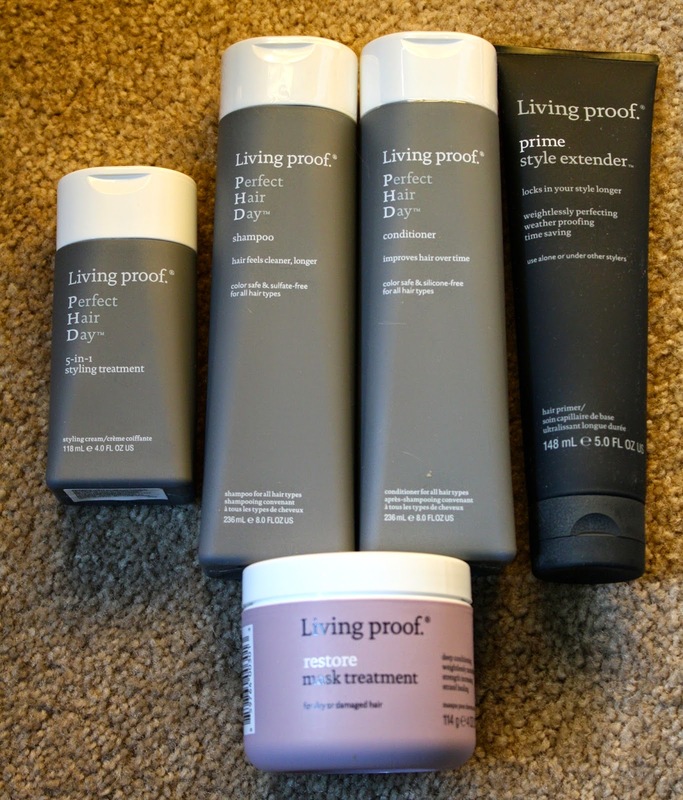 Before receiving the products for this review, I had heard of Living Proof haircare and I was interested in seeing if they helped my flat, sometimes frizzy hair. How does it work? The compatibility of the molecules OFPMA and PBAE allow Perfect Hair Day to deliver shiny, strong, healthy hair plus a smooth, voluminous style in one bottle. I received a generous amount of products to try, including two bottles of shampoo and conditioner, a prime style extender and two bottles of 5-in-1 styling treatment. I will be using the haircare line consistently over the next two months and posting twice about my experience. The new PhD (Perfect hair Day) line which includes a shampoo, conditioner, and 5-in-1 Styling Treatment. All three of these products work together to treat and style your hair to deliver smoothness, volume, conditioning, strength, and polish. They are meant to keep your hair cleaner longer to reduce the need to wash your hair as often. These products are all free of sulfates, oil and silicone. I really love that the 5-in-1 Styling Treatment combines heat and UV protection, static control (great for the upcoming winter months), smoothness, volume, strength, conditioning and polish. It reduces breakage by 78%, making hair 4.5x stronger. Although I don't color or chemically treat my hair, Living Proof is safe and formulated for both. I've been using these products for the last week and my hair feels strong, frizz-free and full of body. Normally, my hair is healthy feeling in nature (I am usually told this by my stylists), but the flatness and frizz especially annoy me. Within about two to three days of starting to use Living Proof, I noticed my hair texture improving. I also enjoy the product's scent. I am excited to use this haircare set for my niece's upcoming wedding and for a vacation so my hair looks great in all of the photos! I'll probably curl my hair for the wedding and I hope the products make my curls look less frizzy, which is what usually happens when I use a curling iron! My locks also seem really shiny (side note: very red in this picture too, I swear it's the lighting). 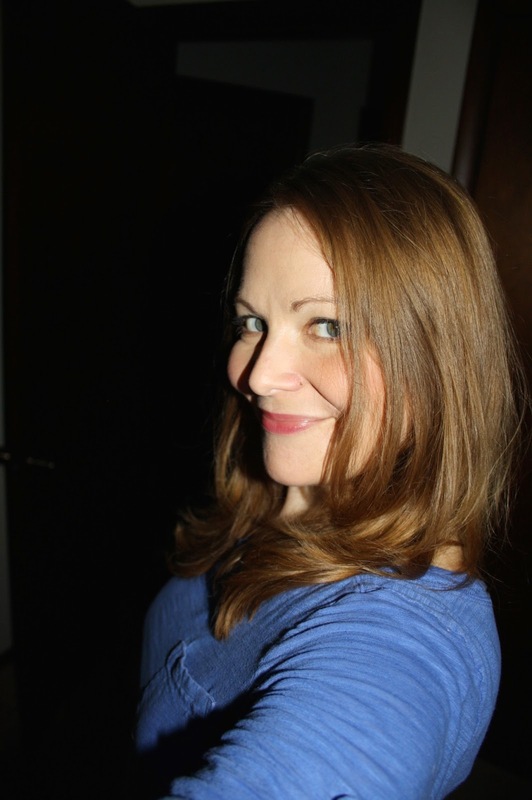 My haircare routine before trying Living Proof included using fairly natural products (definitely sulfate-free), including shampoo and conditioner almost every day. I also add a volumizing product to my roots and a heat protectant because I blow dry and occasionally flat iron. I also try to use dry shampoo once or twice a week instead of washing it. Take the Living Proof hair challenge with me by trying out the products and signing up to win a set of PhD products on the Living Proof Website. 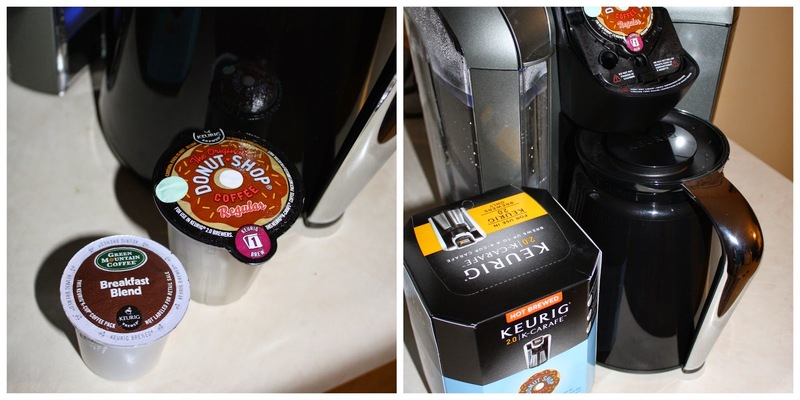 Disclaimer: Thanks to Influenster, I received the new Keurig 2.0 system in exchange for a review of the product. All opinions are my own. The new Keurig 2.0 system reads each lid to deliver a perfect beverage every time. It has the ability to brew a single cup and a carafe of coffee. I am a coffee and tea drinker, but I always made both drinks the traditional way. 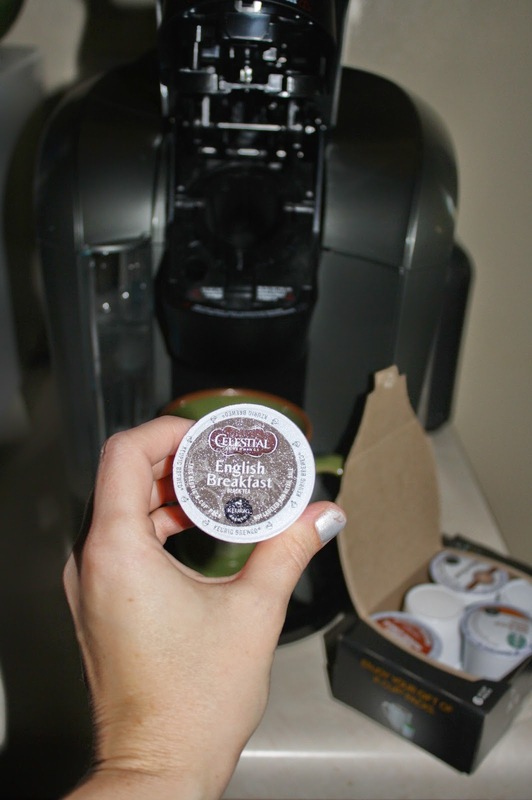 I was thrilled to receive a Keurig and try out such a convenient and consistent way of making hot drinks. 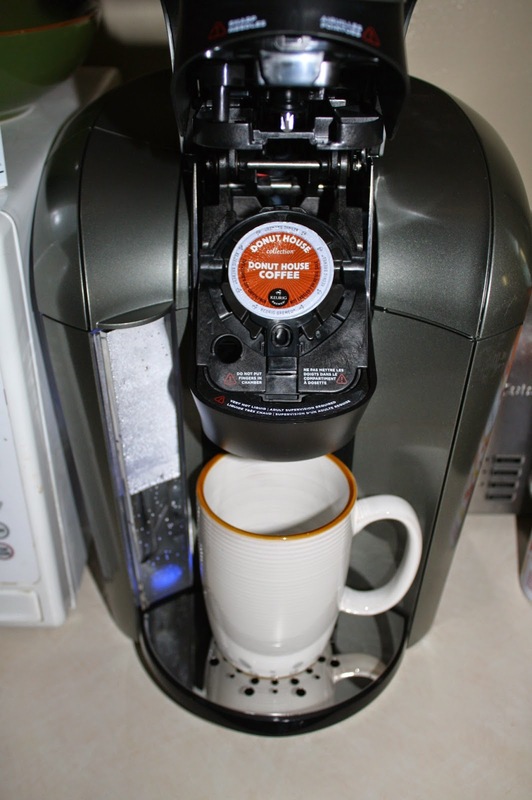 Setting up the Keurig was really easy and the digital display is very straightforward. I was happy to read that I could also setup an auto brew mode for the morning. The package I received from Influenster included single K-cups and carafe sized ones. I enjoyed all of the flavors of tea and coffee I received and I have since purchased some boxes too. It's fun to try new types of coffees out this way! They all taste really delicious and perfect, like you'd get from a cafe. The carafe is positioned into the base of the coffee maker so it drips down properly and there's no chance for it to spill everywhere. The carafe option allows various amounts of cups to be brewed, with the maximum being 4-5 cups. The one concern Craig and I had about the Keurig in general was that the K-cups were going to end up in landfills and created more waste than a traditional coffee maker. The manual kindly offered tips on recycling the bottom of the carafe sized K-cups. I placed the coffee grounds in the compost bin. Unfortunately, you cannot recycle the one cup sized K-cups. A generous colleague also brought in a smaller Keurig into work recently and I love how easy it is for all of in the office to make caffeinated drinks throughout the day! Thank you for this wonderful opportunity, Influenster! 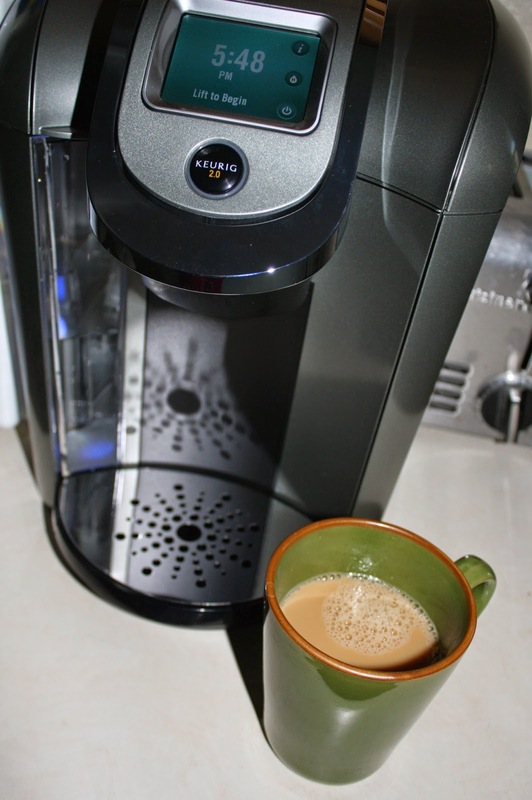 I received the Keurig 2.0 from Influenster in exchange for this review and social media posts. Here are five things I have been loving lately! 1. Caudalie skincare. I've been loving the hand and nail cream for a while. Thanks to Sephora's Beauty Insider program, I racked up enough points to get the Caudalie Vinosource skincare set with my last order. I think the extra moisture will help when we're in the Colorado altitude soon. 2. I finally found and tried the pumpkin Chobani yogurt! It was delicious, naturally! 3. Even though I'm craving pumpkin flavored food since it's nearly fall, I am still holding onto summer by drinking Schoefferhofer beer. Yum! 4. 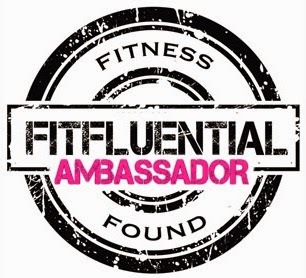 Becoming a FitFluential Ambassador! This was something I was hoping to apply for and get into for a while and that finally happened last week. I am so excited for my new partnership!! 5. 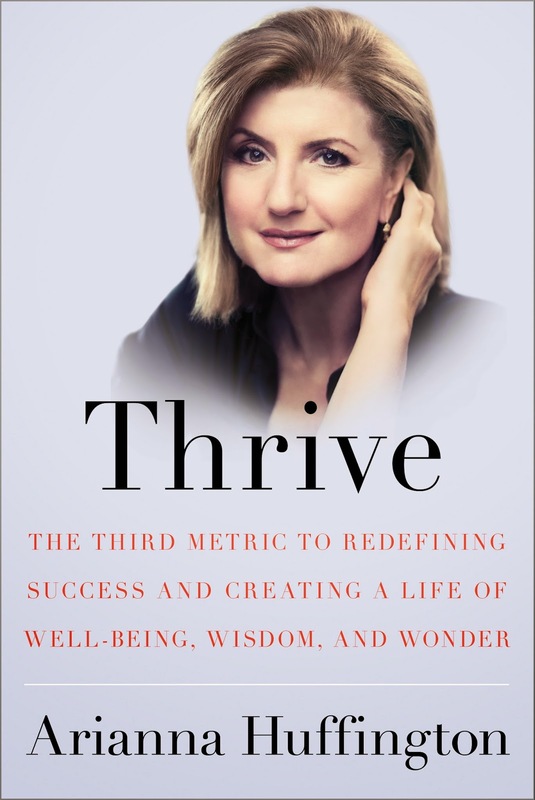 Thrive by Ariana Huffington. I'm probably a quarter of the way through this book, but it speaks to me on many levels. She is addressing how busy and overwhelmed our society is and how we are paying for it with our health. Not only can I relate to this personally, but many of my clients can as well, so there are some behavioral management techniques that I find useful. Our gym membership at the YMCA ended today. I'll really miss it there, but it's time to break a sweat at my new workplace and show my clients that I am also working hard in order to stay healthy and fit. I was getting $60 in YMCA bucks back for going 60 times in 6 months. We had been applying it towards our membership, but they finally cut that benefit and asked us to use it on personal training or classes instead. I signed Craig and I up for a PT session and we went to workout with our trainer on Thursday night. I thought it would be a great secret shopping idea and it was. Initially, I had talked to another trainer and described my workouts. She was stumped because I knew how to use many of the machines and gym tools. She then handed us off to another trainer. Here is the workout we did in an hour. It was total body and high intensity. This workout wore us out! We had fun, but it was very challenging. I hate to embarrass Craig, but he really wasn't used to getting his heart rate up for this length of time. He had little fuel to burn at the end. We stretched at the end and many stretches were ones from yoga--child's pose, downward dog into a wider child's pose, etc. Our trainer is studying nutrition, so I asked her a few of the questions my clients have asked me--like my opinion of protein powder, etc. and I got some good ideas of ways to answer people. I wasn't really that sore the next day. Craig was though. My arms started to hurt on Saturday morning, probably from the circles with weights as I wasn't used to performing that type of exercise. I have been a part-time personal trainer for a month and a half now! It took me about three weeks to get a routine down with my new schedule and then things were smoother for me. Admittedly, at first, the whole new environment, lots of information being thrown at me and working two jobs gave me a few headaches and stressed me out a little. Now I find that I am excited to go to my second job and when I am there, I am never tired or in a bad mood. I come home enthused and feeling complete. I haven’t had any paying clients yet, but I’ve trained four people on their two complimentary orientation/training sessions and they’ve all gone really well. So far, no one has even asked me if I am a new trainer or could probably tell for that matter. Naturally, every individual had a unique medical condition or limitation and I was able to come up with programs that achieved their goals and were safe. Two of my four clients were a married couple. I wanted to help them on their journey to wellness so badly and when I trained both of them separately, I seemed to instill some confidence in their ability to go beyond the cardio and weight circuit at the gym. Last night, I trained the wife and at the end of her session, she gave me the best compliment that I could have asked for at this point in my new second career. She said that her and her husband had trained with a male trainer at a previous gym and I did an amazing job compared to him. She said I was good at knowing which exercises they were able to do in their current overweight condition, I listened to them, and they had fun working out with me. This may lead to them paying to train with me as a couple and that would be wonderful. Even if that doesn’t happen, I walked out of the gym feeling so confident and happy last night. I feel so fulfilled by helping people become healthier. Even one client telling me that she went out and bought chia seeds because I recommended them was something that affected me mentally. Like any new career or workplace, I am sure I will encounter challenges and bad days, but when I do, I hope I look back on this post and remember how I felt at the beginning of this new career path. I recently received this wonderful package of goodies in the mail to review! I love Mexican food, so I was looking forward to trying the new Salsa Con Queso and the beans. 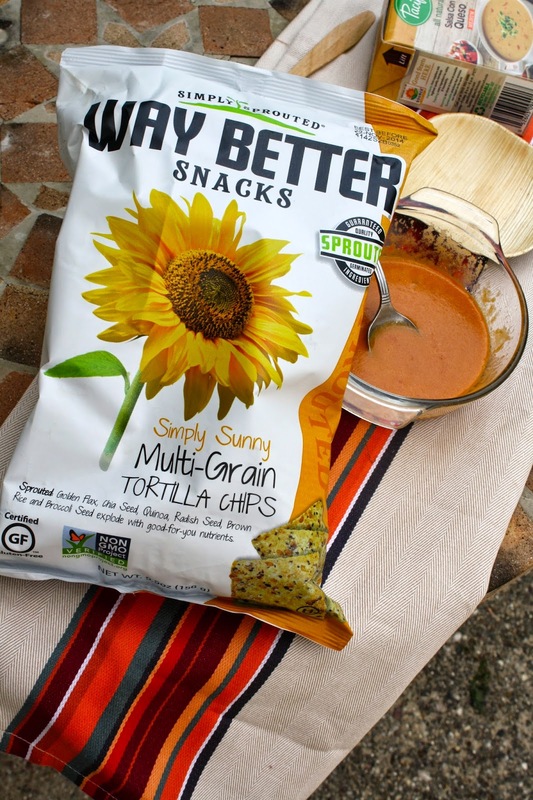 The Way Better Snacks multi-grain tortilla chips were perfect with the Salsa Con Queso. 1. Authentic Flavor. Fresh, GMO-free ingredients like r-BST-free cheeses, crème fraiche and fresh-chopped tomatoes and jalapeños satisfy snackers with big Southwest flavors. 2. No Junk. 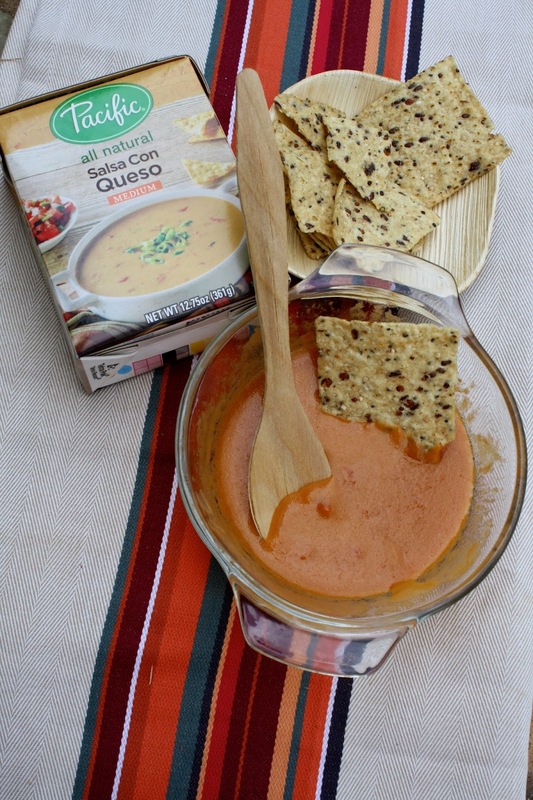 Free from artificial flavors and preservatives, this queso contains less than 1/3 the amount of sodium per serving when compared with leading brands. 3. The “Box.” Like all of Pacific’s products, the queso is packaged in easy-to-open, BPA-free cartons. Pacific’s gluten-free, vegetarian Salsa Con Queso is available now exclusively at Whole Foods Markets nationwide, with distribution expanding throughout the year ($3.39-$4.99 for 12.75 oz.). I tried the beans in burritos and on nachos and they were delicious and wholesome tasting! I received these products complementary, but was not compensated for this post. I've been off of work since Thursday and it does not feel like I had five days off. I ran tons of errands on Thursday and went to my new work for a pool party with Craig that night. I finally bought the Merrell Hiking Boots I've been waiting to purchase. They were not cheap, but worth every penny to protect my ankles while hiking. On Friday, I was a major cranky pants and had a horrible day. Tanzi had to get 13 teeth removed at the Vet (which was not cheap and I felt so bad for the guy), I went to "model" for a gym photoshoot and let's just say modeling is overrated and then I had a haircut, which was the highlight of the day. Saturday was much better. Mom came over and we went to the Tosa Farmers Market (her first time) before heading up to Mequon for the Parade of Homes. I bought apple cider doughnuts and after touring homes, we stopped at the new Outpost in Mequon for a delicious and healthy lunch. I had the tofu steak sandwich with a fresh juice and a sheba bar. 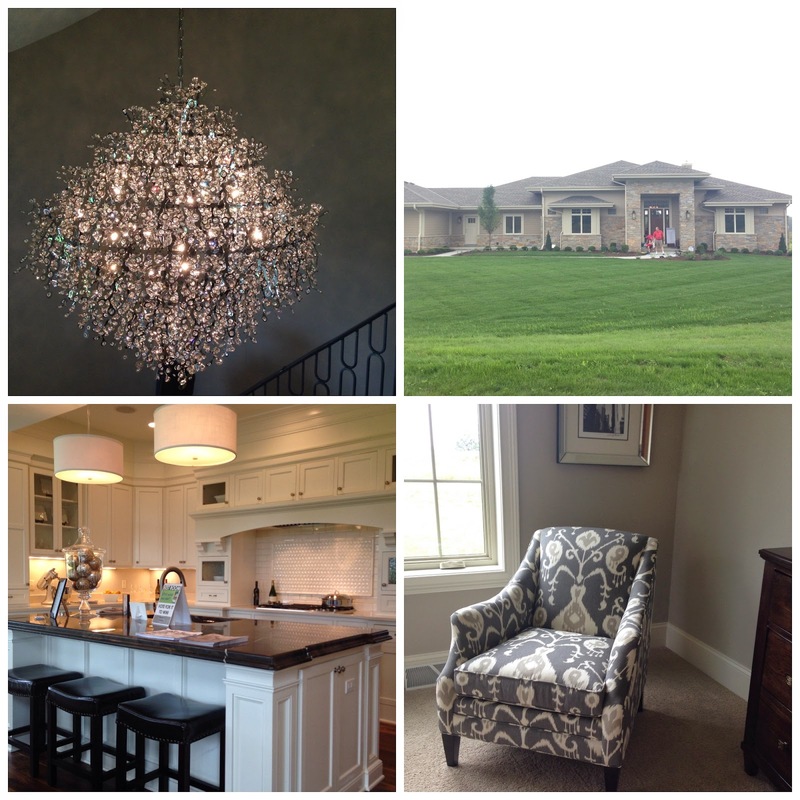 The Parade of Homes in Mequon featured the most luxurious houses of this year's sites. I loved the Arts & Crafts home by SCI below. It was huge, but had a really nice layout and a gorgeous screen porch. 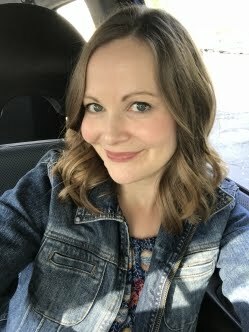 I turned 34 on Sunday and we celebrated with a jam packed day. We went to Bruegger's for breakfast, mostly because we didn't feel like waiting at a sit down place for a mid-morning breakfast. I had egg and cheese on pumpernickel and it was delish! I got a free Venti Starbucks drink to share with Craig after. Not my favorite flavor ever, Mocha Cookie Crumble, but it was different. And the rest of the afternoon, we played with the kitties, researched Colorado hotels/things to do and napped. By 3 p.m., we decided to get going on our bike ride on the Lake Country Recreation trail. We started just east of Country Springs Hotel and made it to the town of Delafield for a total of 9.93 miles round trip. It was a nice trail with mainly views of the marshes surrounding it. We walked our bikes to the top of a big hill and had some nice views of Pewaukee Lake, but otherwise, the trail didn't get close to the lakes in the area. We had dinner out after our ride and stopped by my in-laws house to check on it, assuming they were still gone at their cottage. My mother-in-law surprised us by being home, so we sat and talked for a bit. We're just doing more research on our vacation today and I need to get some program designs ready for my personal training clients this week! Eek! I am not comfortable enough to wing it yet.